Altering the look, feel and functions of Windows 7 to suit your personal taste can sometimes be a pain. The customization options are certainly there to be experimented with, but they are often difficult to find and implement easily. Thankfully, My Computer Tweaker offers the perfect solution. This highly effective program will allow you to customize your operating system by grouping together a variety of commands and shortcuts all in one window. My Computer Tweaker enables you to add various shortcuts to your Control Panel, tweak the desktop and taskbar or add Explorer shortcuts for system applications and commands. My Computer Tweaker also gives you extensive control over your computer’s visual options, browser settings, system preferences and more. The various parameters can be configured quickly and easily, all in the same place and at the same time. To install My Computer Tweaker, simply head over to their website and download the program. You may then follow the installation wizard to set the application up on your computer. 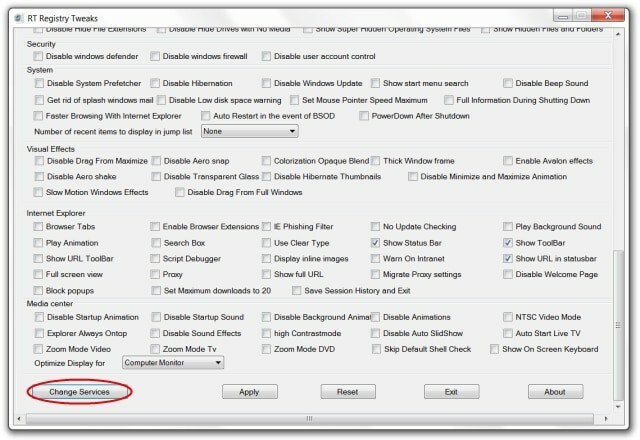 Once successfully installed, you will by the main Computer Tweaker window, shown below. Clicking the “Apply” button will trigger another window to present itself, asking you to confirm your decision. 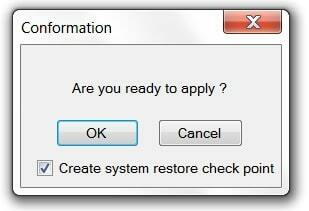 A tick box will already be checked, indicating that a system restore point will also be created – just in case anything goes wrong. The window being described is shown in the image below. Now that you have applied your settings, they should take effect immediately. However, certain commands require a system restart in order to be implemented properly. 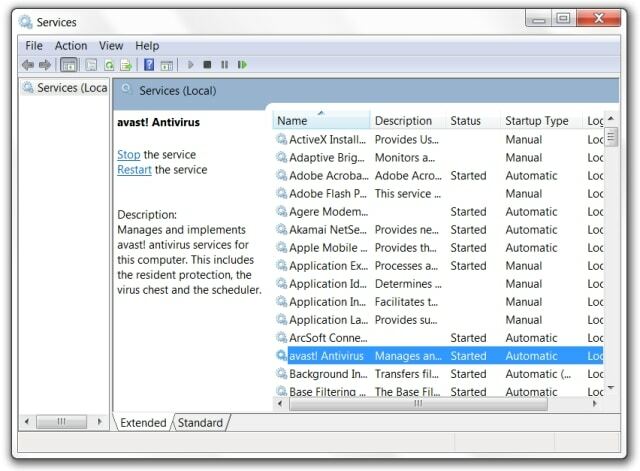 Another feature offered by My Computer Tweaker is the ability to locate, stop and restart all of the programs installed on your computer. To do this, simply click “Change Services”, as shown in the image below. A new window will then present itself, listing your installed programs and applications alphabetically. Upon selecting a particular program, you are given a short description of it along with the ability to stop or restart that software. This window and its options can be seen in the image below. 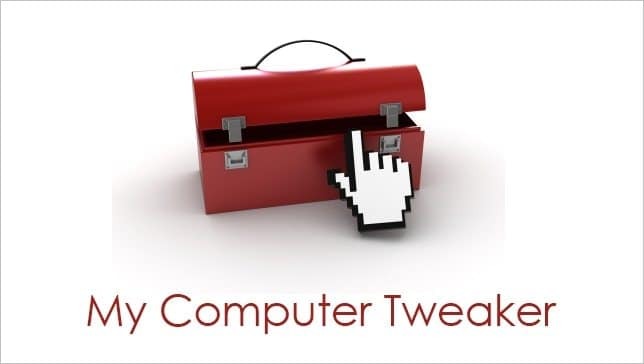 Once you have mastered the use of My Computer Tweaker, you may begin to tinker with the different settings and configurations which affect areas of your computer which were previously difficult to customize. My Computer Tweaker groups together various settings and options under one window, making the customization of Windows 7 easier than ever before. In order to evaluate My Computer Tweaker fully, we have listed the pros and cons below. Overall, My Computer Tweaker does exactly what it sets out to do: Customize Windows 7. It doesn’t necessarily offer features which were missing beforehand, but it makes such features extremely easy to access and implement. It’s definitely worth keeping this application lying around.